I’m crazy for cookie dough! I usually like the dough more than the finished product. One spoonful leads to another and, well, you get the picture. Usually, I have to plunge the bowl into soapy water to save myself from scraping the remaining cookie dough from the bowl. 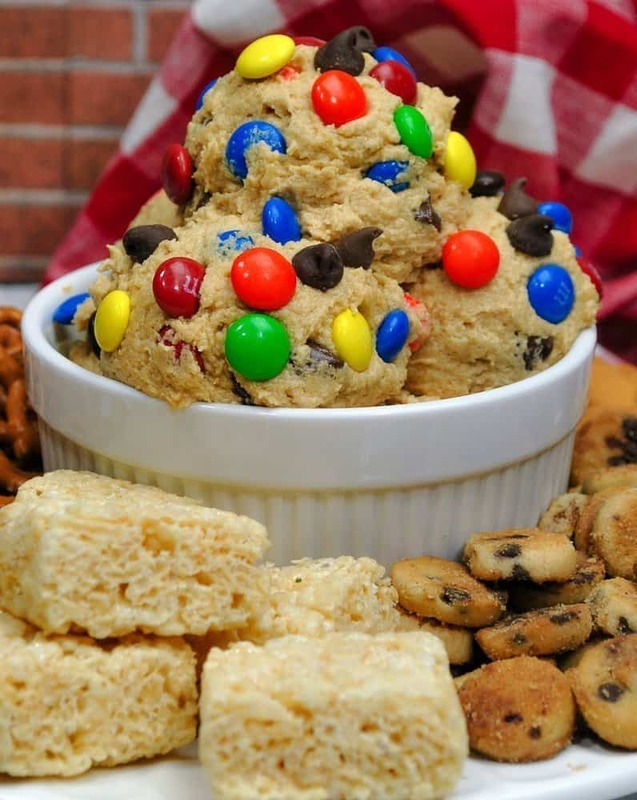 Cookie Dough Dip to the rescue! 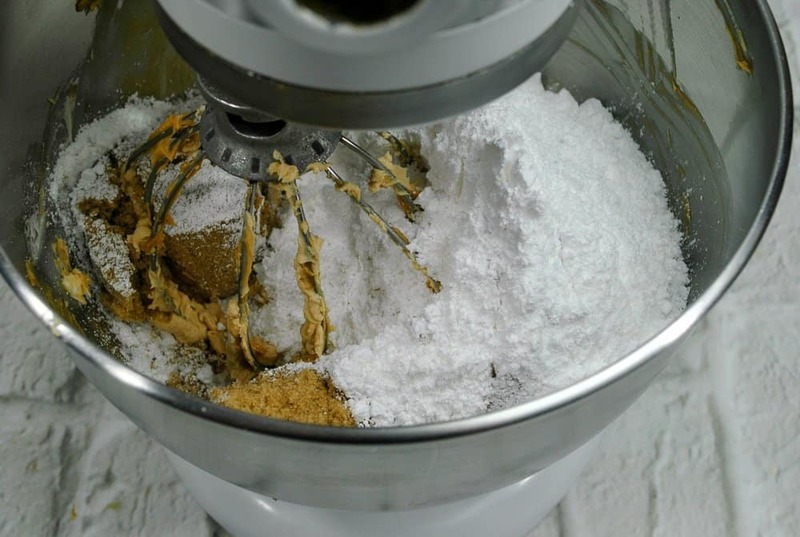 They say that the raw eggs in cookie dough aren’t good for us. It’s got something to do with the “S” word – salmonella. Well, shucks. That hasn’t stopped me yet. 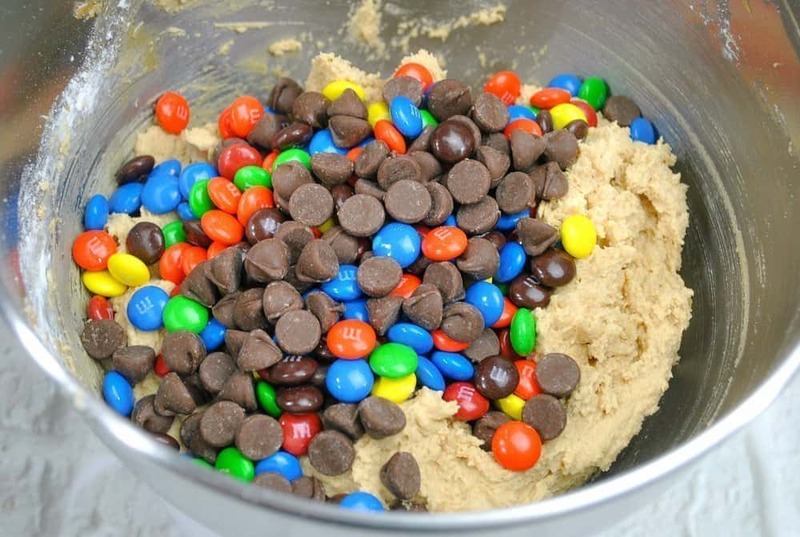 However, to be on the safe side, I’m sharing a recipe for an amazing Cookie Dough Dip that’s perfectly safe to eat. There are no eggs involved. That means no eggs were harmed in the making of this Cookie Dough Dip. 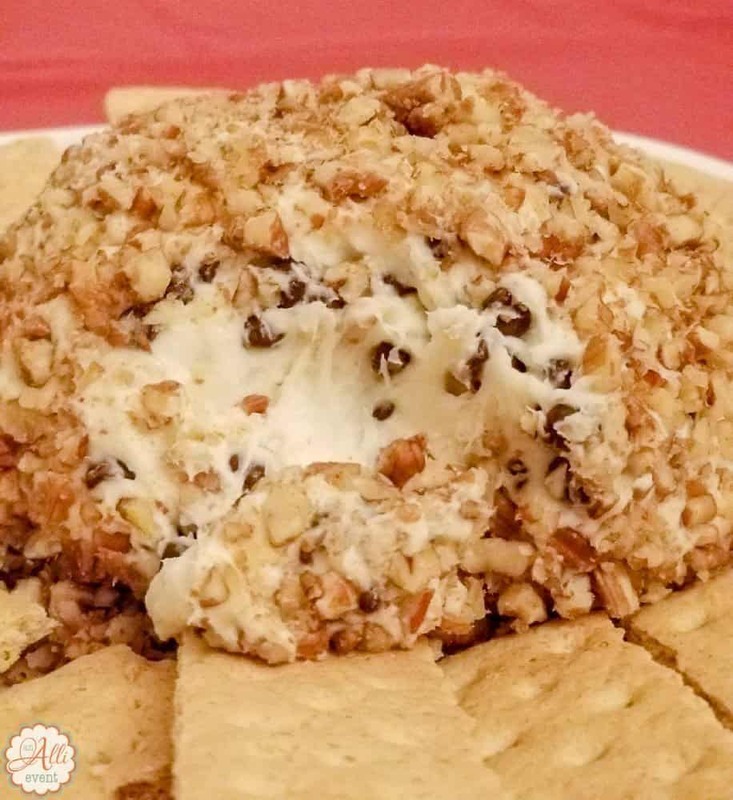 This dip reminds me of my Chocolate Chip Cheese Ball. 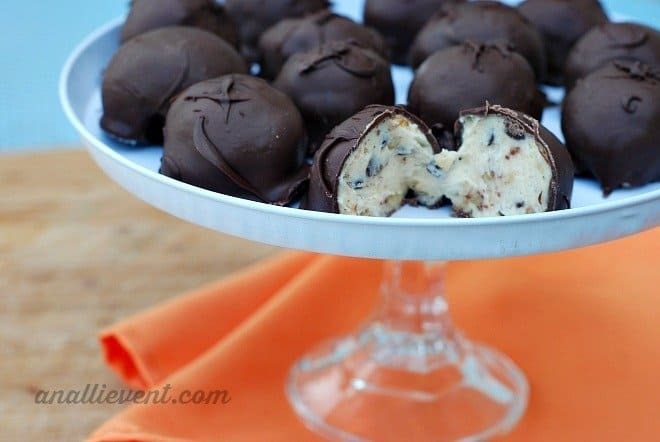 Guests are often surprised when I serve my Chocolate Chip Cheese Ball. They are expecting a savory cheese ball but it’s sweet. So, whenever I serve Cookie Dough Dip, they are also pleasantly surprised. It’s the perfect dessert and so easy to make. It always stands out on the dessert table at get-togethers. I also like how easy this dip is to make. 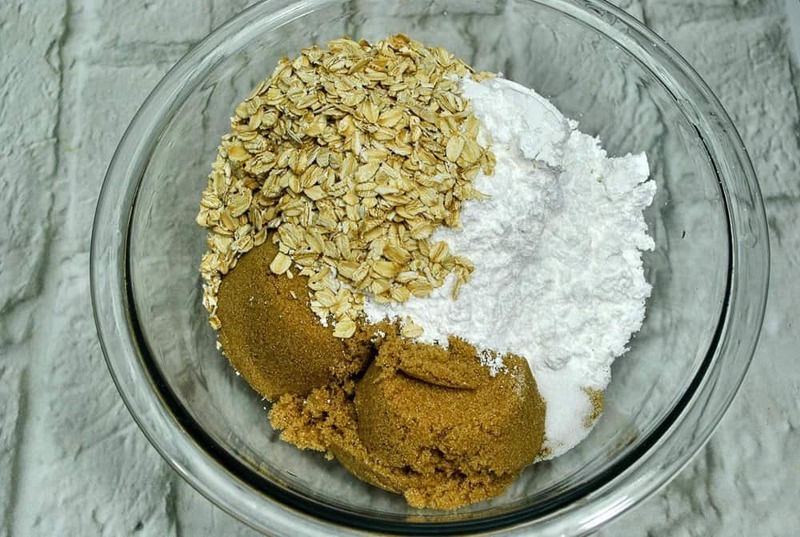 All you need are the ingredients and a mixer. Oh, and a bowl or two. 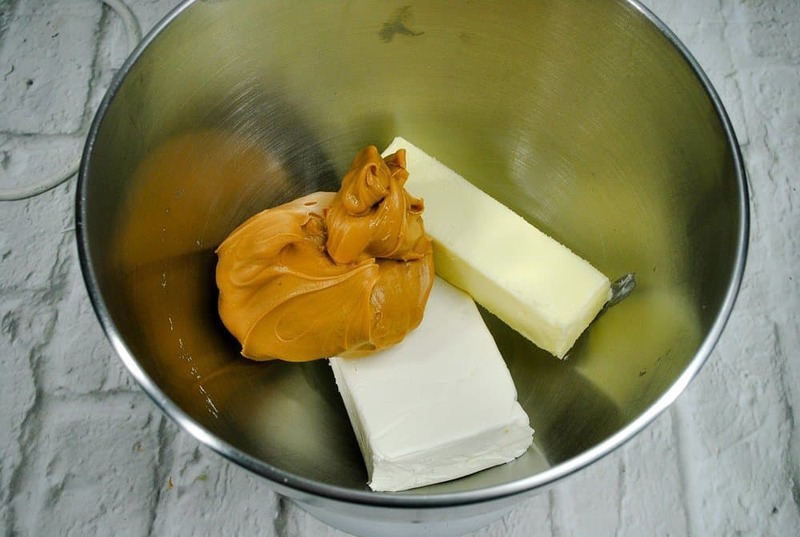 Using a mixer, beat the cream cheese, butter, and peanut butter until smooth. Store in the refrigerator until time to serve. Serve with graham crackers or pretzels. 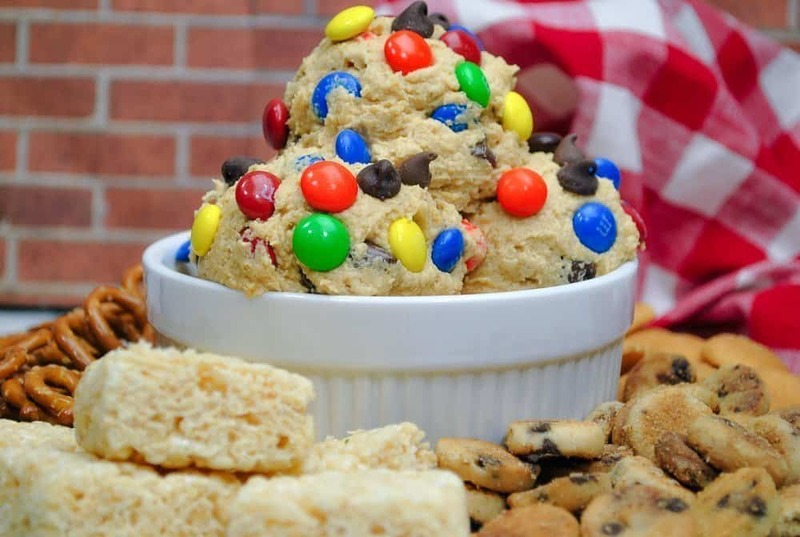 The next time you need a no-bake dessert, try this M&M Cookie Dough Dip. I like to serve it with graham crackers and pretzels. The pretzels add a salty element to the sweet. Sweet and salty is my favorite snack combination. Yes! I am making this for the weekend while I watch Netflix. This is the perfect treat. My daughter will be a fan too. She’s always eating cookie dough. 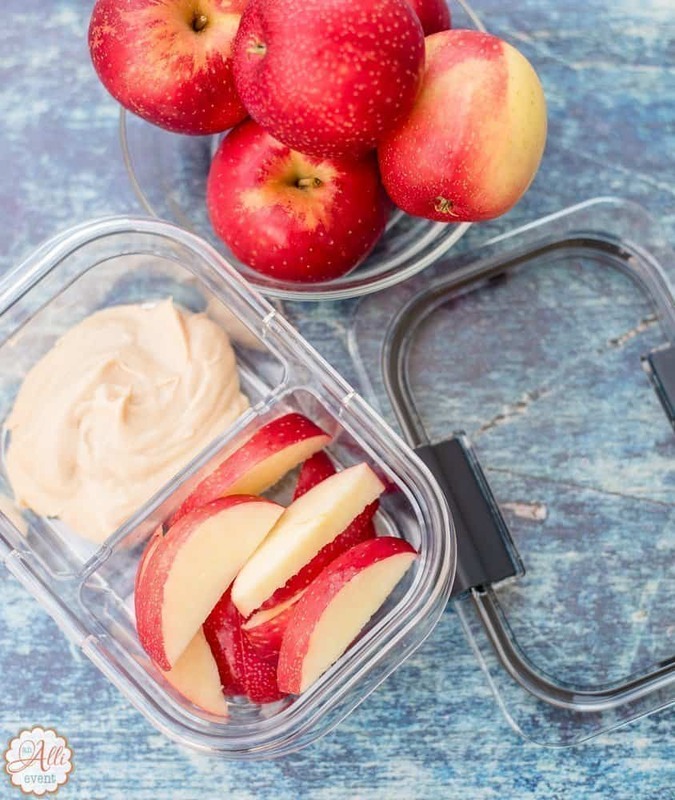 We have been making this easy to throw together dip for several years now. Everyone always loves it and makes for a great dip on the treat table. I was looking at this post when my son and daughter came up behind me and said that looks tasty. Of course, as it has M&M and they both love chocolate. There is only one word I can say for this… Yum! This is definitely something that I am going to make. This would be perfect for my kiddos birthday party. I think the kids would wolf it down pretty quickly. My kids always just want to eat the cookie dough. 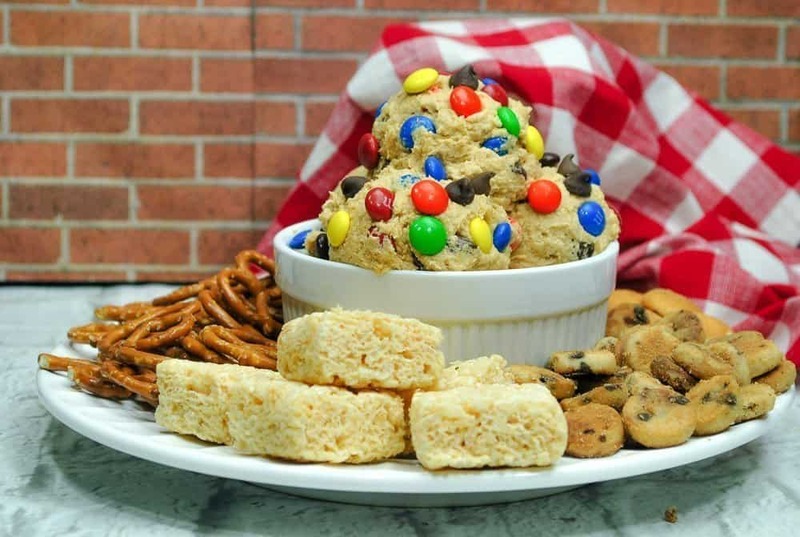 They will swoon for Cookie dough dip! What a fun recipe. I’ll make this for my kids any time! This looks so good. I love the simplicity of it. So many kids, so little time! This looks really good. Cookie dough was a weakness of mine when I was a kid and my Mom always let me lick the beaters. It looks amazing! I love cookie dough and it’s definitely nice to have especially during parties and movie night. I think this dip is going to be a hit with both the kids and the adults! I’ve never had cookie dough dip but I do love a good cookie dough. It’s often my favorite part of baking cookies. That looks really good! I bet it tastes awesome! I think my kids would have a blast making this with me. Ok so this…this looks like heaven in a bowl! I would love to try this! Maybe for my daughters bday! This is something she would love! I think this is the best dip there is especially when you’re craving for something sweet and indulging! Love the addition of M&M’s! Sound good but I prefer to make real cookies with eggs. I made a syrup out of strawberries the other day. We had strawberries that were going bad and the syrup was good on our waffles. These strawberries were local so they hardly needed any sugar. Yas times a million to this. This right here is way weight watching is a nightmare! Oh my! Give me a spoon! I need to give this a try! It’s like the perfect party dip! Oh no! One of my vices is anything chocolate chip cookie dough. 😉 Looks like a yummy recipe. Thanks for sharing.